Directed by Mimi Leder. 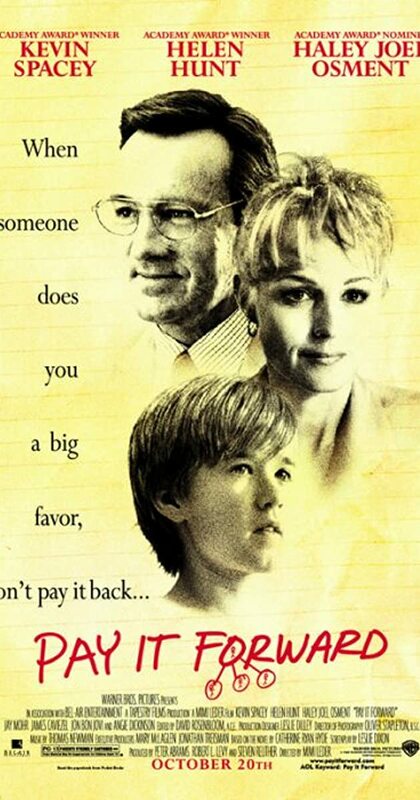 With Kevin Spacey, Haley Joel Osment, Helen Hunt, Jay Mohr. A young boy attempts to make the world a better place after his teacher gives him that chance.